If History Channel’s Vikings is one of the most popular TV shows today, that is in part thanks to network’s amazing choices while casting actors for the roles of unique characters included to the show. 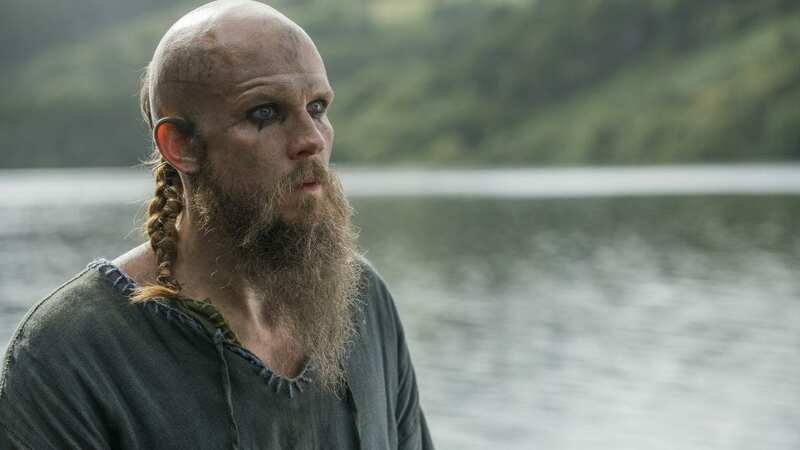 And when we think of “uniqueness” in Vikings, one of the first names that come to mind (if not the first) is Floki. 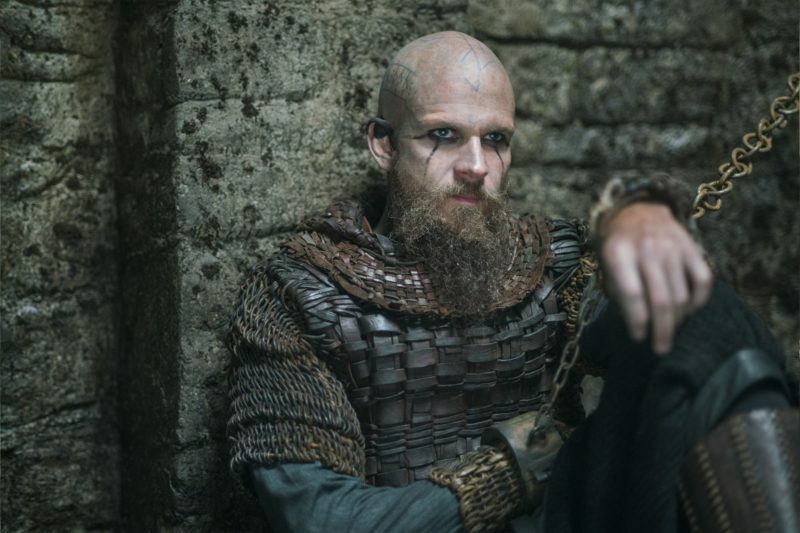 I will convey whatever information I could find about the real Floki (which is limited by the scarcity of resources regarding him) in this post. For a comprehensive, one by one look into Vikings‘ characters, read our post here: Vikings in 30 Pictures – What is Real and What is Not? It is no secret that History Channel kind of compiled the stories of famous Vikings who lived in different times and incorporated these historical figures into a single TV series. Producer Michael Hirst and his team stated many times that they did not especially care about historical accuracy. When asked about why he chose Ragnar Lothbrok as the protagonist of the show, he said it was because he wanted to tell the story of a dynasty through Ragnar Lodbrok and his sons. Of course, the fact that Ragnar Lothbrok’s death was one of the main reasons behind England’s invasion by Vikings also played an important part for that choice. Just like Rollo, who was inspired by Rollo the Walker, the Viking Count/Duke of Normandy (here you can read the very detailed article about Rollo), Floki is another character included to Ragnar Lothbrok’s story. 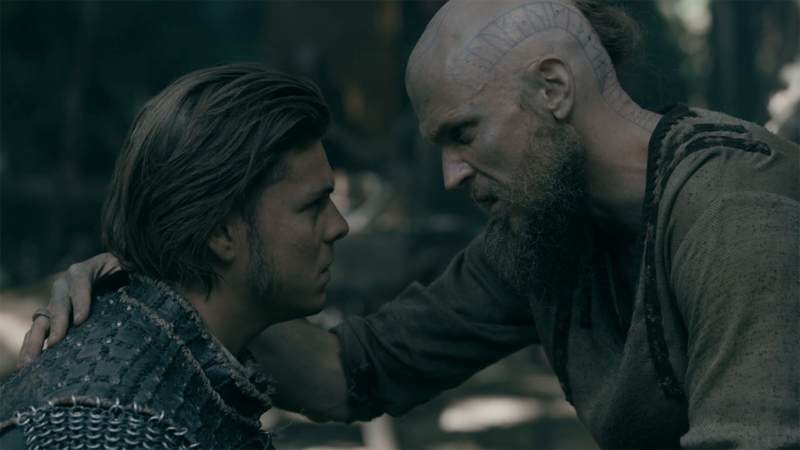 With one difference though; the real-life Floki might have lived in the same time with Ragnar Lothbrok although he would have been only a young boy when Ragnar became an old man. This is because the historical figure that is the inspiration for History Channel’s version of Floki, namely Hrafna-Flóki Vilgerðarson is assumed to be born around the year 830 while Ragnar Lothbrok’s death in the Kingdom of Northumbria is assumed to have happened around 840.
Who Was Hrafna-Flóki Vilgerðarson ? Hrafna-Flóki Vilgerðarson (Flóki Vilgerðarson/Floki Vilgerdsson/ Ravna-Floke ) was a Viking adventurer from Norway who is assumed to be born in 830 as the son of Glamur and Vilgerd Hörða-Káradóttir and who died in Iceland in the 9th century (no certain date of death was confirmed in resources regarding Floki). His surname Vilgerðarson comes from his mother Vilgerd and Hrafna/Ravna is a nickname meaning “raven/of the ravens”. More on that later in the article. He is known as the first Norseman who deliberately set sail to the island we know as Iceland today. That being said, Floki was the third Viking explorer to sail there and the one before him, Garðar Svavarsson also knew where he was headed. One of the few resources regarding the story of Floki Vilgerdarson is Landnámabók (meaning “the Book of Settlements”), an Icelandic book in which the settlement of Iceland by Vikings during the 9th and 10th centuries was recorded. Landnámabók details Floki’s journey to and settlement in Iceland as well as the stories of Naddodd (Naddoðr or Naddaðr) and Garðar Svavarsson, the two Viking explorers who sailed to Iceland before Floki. According to Landnámabók, Naddodd is the first Viking who came to Iceland but only because he was lost on his way back to Norway from the Faroe Islands. Naddodd and his men later decided to return to the Faroe Islands and they saw snow falling when they returned to their boats. After that Naddodd named the new lands he found Snæland (Snowland). A little while after Naddodd, another Viking from Sweden named Garðar Svavarsson wanted to set sail to Snæland to see what it actually was like. When he reached Snæland, Garðar sailed around it and discovered that it was an island. He and his men spent the winter there before going back. When he returned home he gave the island a new name Garðarshólm, meaning “Gardar’s Island”. The story about an uninhabited island with great lands to the northwest of the Faroe Islands made the other Viking explorers curious. Floki Vilgerdarson was one of them and he set sail to the island after loading his boat up with livestock and his belongings. Although they are known to be amazing navigators, Vikings of the time did not actually have many navigational tools or means for navigation. They sailed according to the position of stars and the moon as there was no magnetic compasses yet. It is also told in the accounts that they mostly sailed during spring and autumn, the migration seasons for the birds. They examined and gained knowledge of the flight paths the birds took and sailed accordingly. Now, this is where it gets interesting. According to the legend, Floki took things one step further. He did not just follow the birds on their migration paths but intentionally took some birds with him to find the direction to navigate. Floki took three ravens with him, asked for the Gods’ blessing and set these birds free one by one. The first raven flew in the direction of the Faroe Islands while the second came back to the ship. The third one, however, flew northwest and never came back. That was what helped Floki find the island and he and his men landed on the west coast of Garðarshólm. That is where Floki got the nickname “Hrafna/Ravna/Raven”. Later Floki and his crew settled in Vatnsfjörður in Barðaströnd and spent a winter there. While the summer was very good, Floki and his men were not prepared at all for the cold, harsh winter that followed. Hunting, fishing and gathering eggs all summer, they forgot about the farm and the livestock. As a result, all the livestock they had was perished during the winter. 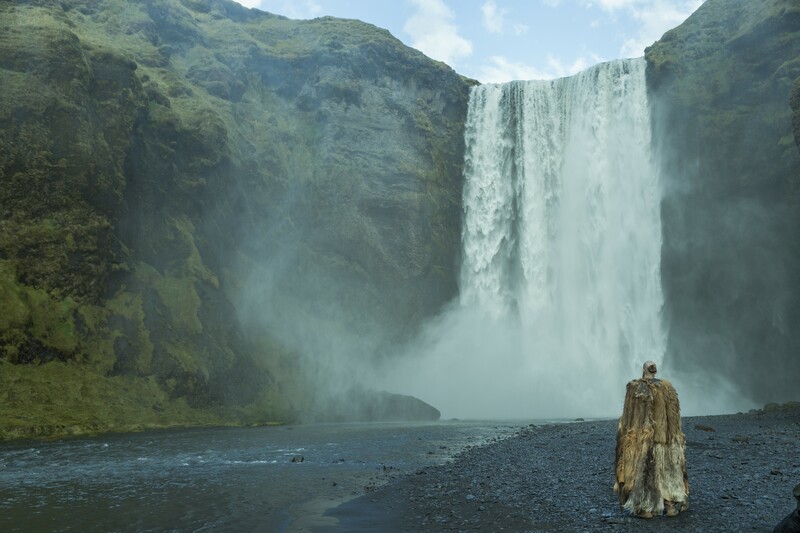 Floki hiked up the highest mountain around his camp (what is now believed to be Nónfell of the Westfjords) one day and saw a fjord (Ísafjarðardjúp) covered by ice floes in the middle of the spring season. That is why he named the island Ísland, Iceland as we know it in the present day. 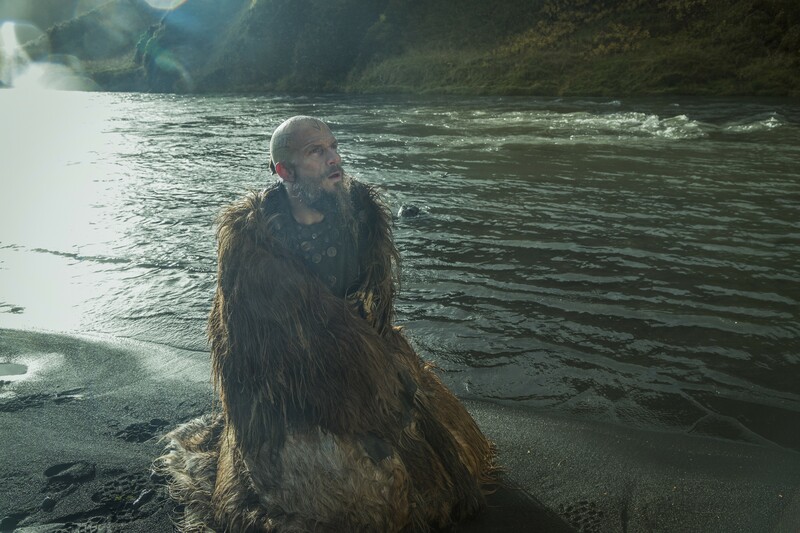 After he returned to Norway, probably because of being upset about what happened to him in Iceland, Floki told the others that the island was a worthless land. Some of his crew contradicted him though and said it was a promising land with many things to offer. According to Landnámabók, Floki Vilgerdarson did return to Iceland eventually although he spoke badly of the island. He settled in and lived the rest of his life there. As Landnámabók records it, Floki had a daughter named Thjodgerd Flókisdóttur and three sons named Trond Gata, Torlak Ravna-Flokeson and Oddlief Staff. None of Floki’s children were named Angrboda (the name Floki and Helga gave to their daughter after the giantess in Norse mythology). 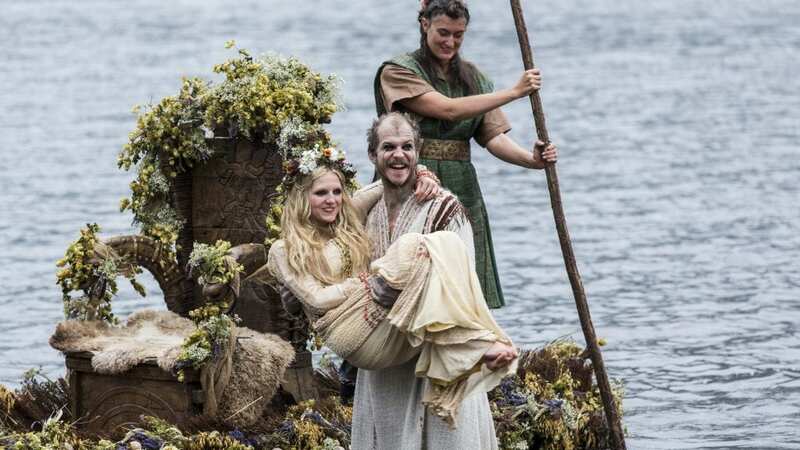 Groa Gro Bjornsdottir is the only name recorded to be Floki’s wife. Therefore, it is safe to say that character named Helga in History Channel’s Vikings (played by actress Maude Hirst, the daughter of producer Michael Hirst) is a fictional character added to the show. Groa Gro Bjornsdottir is known to be the mother of Floki’s sons, however, she is recorded as the stepmother of Floki’s daughter, Thjodgerd Flókisdóttur. There is no certain information about who Thjodgerd’s mother was. Did Floki really build a chariot for Ivar the Boneless ? (Here is the article detailing the life and death of Ivar the Boneless ) He most certainly did not. 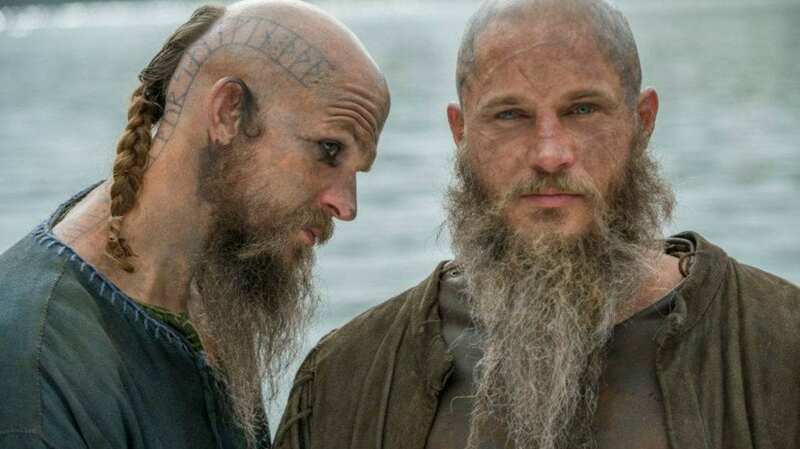 There is no information suggesting a meeting between Ragnar Lothbrok and Floki. 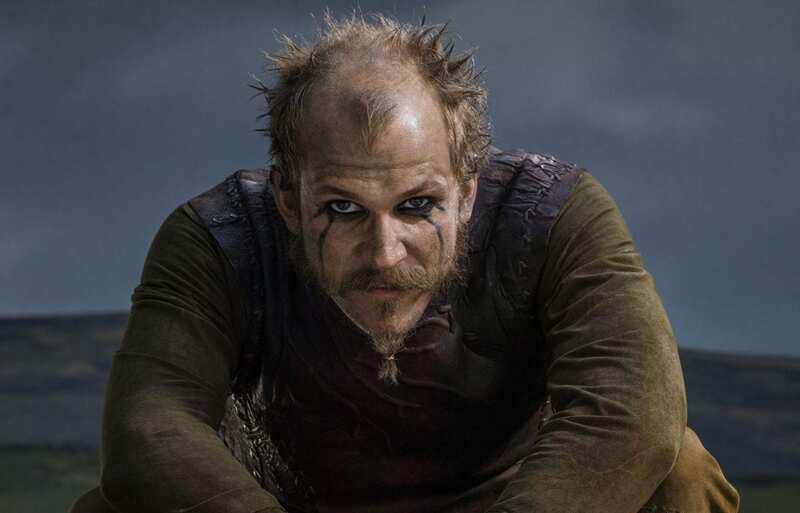 Considering one probably died around 840 while the other was born around 830, respectively, it is highly unlikely that Floki was close with Ragnar and his family as depicted in History Channel’s TV series, Vikings. For the same reason, it is also highly unlikely that Floki fought beside Lagertha (you can read about Shieldmaiden Lagertha here) or set sail to the Mediterranean Sea with Bjorn Ironside and Rollo. 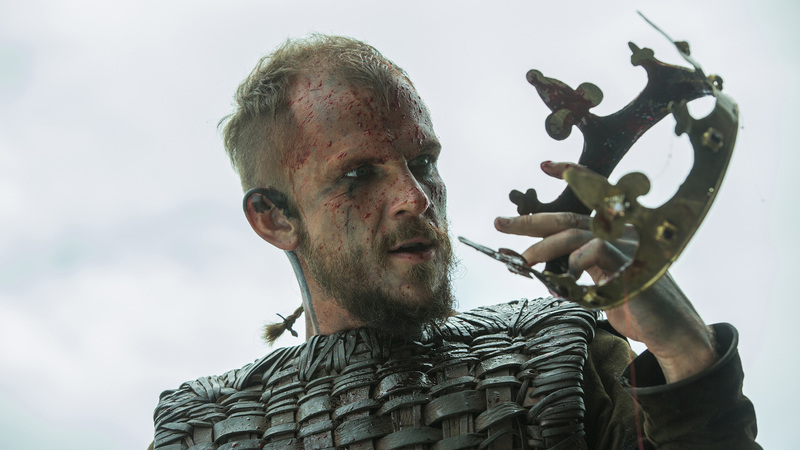 Did Floki Actually Kill Athelstan ? Although many characters in the show were at least inspired by real-life historical figures, Athelstan is not among those and is a purely fictional character. Therefore, a real-life conflict between Floki and Athelstan was not possible even if Floki was actually Ragnar Lodbrok’s best friend. In History Channel’s Vikings, the character named Floki is played by Swedish actor Gustaf Skarsgård who happens to be the brother of two other famous actors; Alexander Skarsgård (vampire Eric Northman in True Blood, also stars in Tarzan ) and Bill Skarsgård (the young upir – read here, Roman Godfrey in Hemlock Grove, also stars in Allegiant). 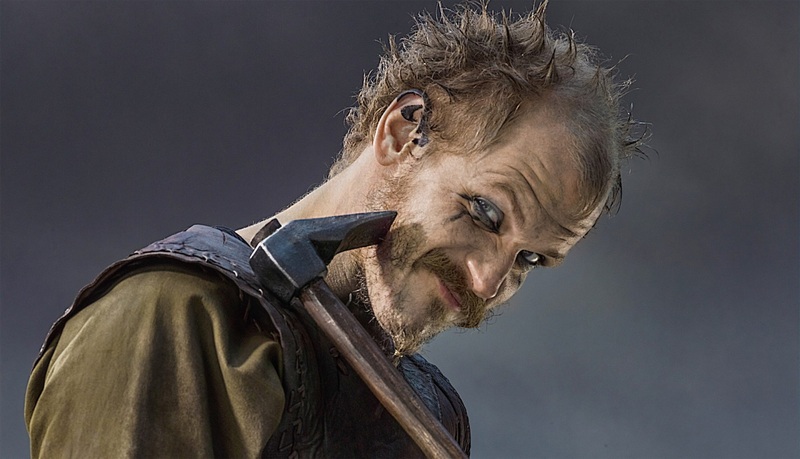 You liked what you read about Floki? Share it if you could. Many thanks in advance! There was a real Athelstan. No, there was not Louis. That Athelstan you linked is an English king who lived many years later than the events depicted in the TV series. Both the Anglo-Saxon king and the other Athelstan (Guthrum – Athelstan was his Christian name given when he was baptised) are not the priest in the TV series. The character in the show is purely fictional and most definitely not the father of Alfred the Great. In that sense, we can easily say “there was a real Mary/John/Frederick/” when we see a character named Mary/John/Frederick on a TV series since the name has been given to a historical figure before.